The Supreme Court has been approached by the BCCI to seeking clarity as to whether N. Srinivasan, former president should be allowed to attend the Board meetings in capacity of being Tamil Nadu Cricket Association president. It was appealed by the BCCI that after hearing Mr. N Srinivasan and the BCCI, the committee headed by Justice RM Lodha should decide, whether in the light of facts of the case, MR N Srinivasan continues to be subject to the disqualifications arising out of his conflict of interest and pass any order which may deem fit under the circumstances of the present case. "My lawyer was handed a copy of the writ filed by the BCCI. On Monday, the case number is expected to be given and then will come to know the date of the hearing," Aditya Verma, petitioner in the Indian Premier League (IPL) spot-fixing case stated. The writ petition was filed by BCCI’s legal representatives Advocates KK Venugopal and Radha Rangaswamy. Srinivasan failed to attend all important working committee meeting of the Indian cricket board last month and hence this latest development came up. As long as he had conflict of interest, he would not be involved in matters to cricket as advised by the Supreme Court. The Chennai-based franchise was de-merged from its owners India Cements Limited (ICL), forming a new company called Chennai Super Kings Cricketers Limited after the IPL spot fixing scam. The transfer of CSK to another wholly owned subsidiary of ICL seemed to have paved the way to absolve Srinivasan from the conflict of interest charges, but the report claimed that since many unclassified sub plots involved in actual hierarchy of ownership, the officials of Indian cricket board are still not convinced with the attempts. The Supreme Court had denied to believe that there was no conflict of interest and stated “Taking all circumstances in account, it is very difficult to accept your contention that there is no conflict of interest. 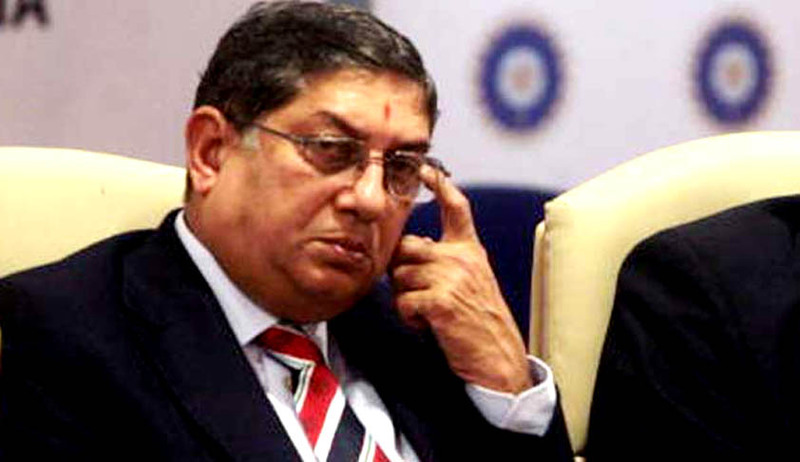 You being MD of India Cements, India Cements owning CSK, an official of CSK involved in betting and you are heading the BCCI.”LiveLaw Howsoever, N. Srinivasan had given an unconditional apology on 28th February 2015.